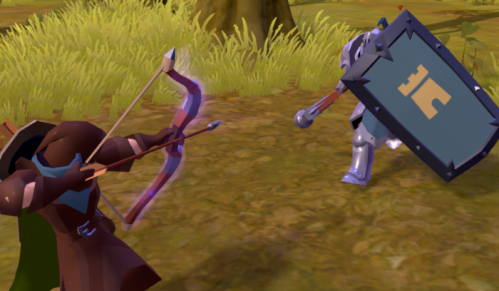 On March 20, Oberon, the sixth major post-release content update for Albion Online, goes live. Oberon brings a host of exciting new features and updates to the world of Albion. First and foremost are Hidden Entrances and Randomized Dungeons, two all-new systems that bring new depth, challenge, and spontaneity to the world of Albion. Entrances spawn randomly throughout the open world, each revealing a procedurally generated dungeon. In addition to offering an entirely unique gameplay experience each time, Randomized Dungeons also have the potential to contain rare bosses that drop valuable loot. Dungeon maps can be used to reveal paths to otherwise inaccessible entrances. 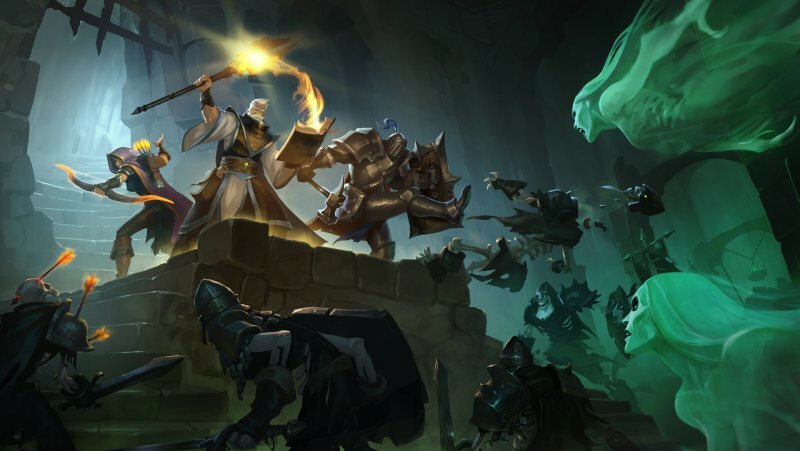 New mobs and creatures, along with new shrines that give whole-party buffs, make dungeon combat more dynamic and challenging. Chests in these dungeons are now unlocked via a channeling spell and shielded by surrounding mobs, requiring new strategies to take down groups of foes. 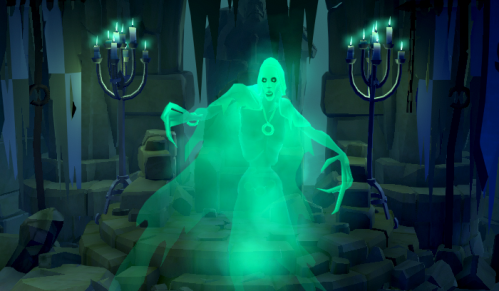 Additionally, updated in-game tutorials help teach new players the ins and outs of Albion more effectively, roaming mobs now drop runes, souls, and relics, and the weapon unlock progression is streamlined. And finally, new community-based quality-of-life improvements coming with Oberon make playing the game more enjoyable for new and veteran players alike. Hidden Entrances are gateways that spawn at random throughout all zones, with increasing tiers and rewards based on zone level. 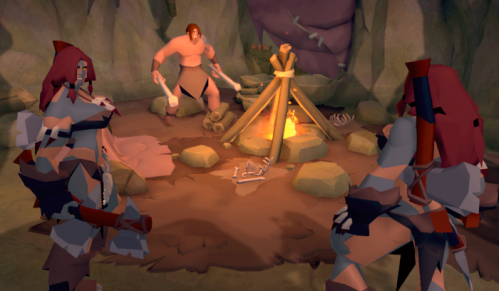 As their locations are not revealed on the minimap and they are findable by all players, they bring new spontaneity and unpredictability to Albion's open world. They can also be accessed via Dungeon Maps (see below), which offer a party first rights to an otherwise unseen entrance. Randomized Dungeons are created procedurally based on numerous parameters, influencing everything from mob type to room and corridor layout to bosses and loot. Each dungeon lasts only for a limited time, and is accessible to any player who discovers it, providing an incentive to clear them out quickly and completely. In addition to their unpredictable structures, these realms feature new creatures and shrines and reworked chests (see below). Dungeon Maps are a new item, dropped by mobs, that allows a party to locate their own dedicated Hidden Entrance. When used, a new dungeon location is activated on the world map, along with an indicator of the shortest path. 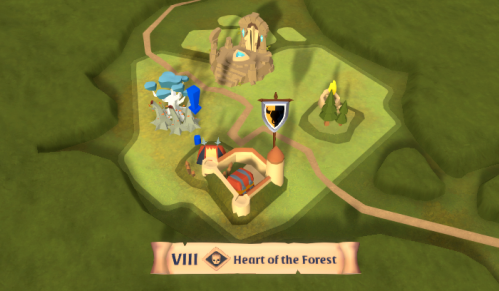 The entrance only spawns once the holder of the map reaches it, meaning it remains hidden from others up until that point. Once the location is discovered, the dungeon is fair game for all groups - so while the map's users will generally be the first to enter, they may not be the last..
Oberon brings a host of ferocious new foes to challenge the sturdiest warriors, from ethereal wisps and devious Acolytes to the fiendish Keeper Witch. Oberon also brings four new legendary bosses based on the current Raid Bosses, which contain powerful spells of their own and offer untold riches to those who can bring them down. 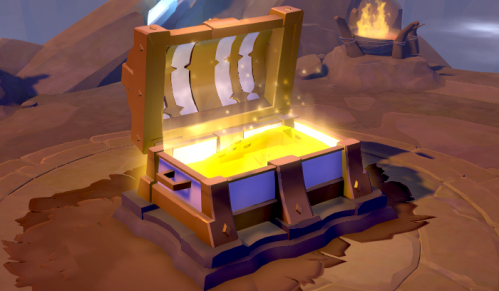 And with roaming mobs now dropping runes, souls, and relics, open-world PvE in Albion gains new economic and crafting possibilities. Randomized Dungeons contain a new type of Chest, sealed with a magical shield that can only be broken by killing nearby mobs. Once the surrounding mobs are dealt with, the chest is opened via a channeling spell rather than by being attacked. Shrines offer brief but powerful whole-party buffs to either Fame or Silver earned but can only be used once, giving parties an incentive to push through dungeons quickly once activated. In order to allow players to more easily try out new weapons, armor, and gathering gear, the early-tier grind of these items has been reduced. This is achieved by increasing the Fame earned for killing mobs and gathering, and increasing the Fame required for specializations by the same amount, thus reducing the time needed to unlock items while leaving the overall Spec / Mastery requirements intact. This change encourages players to experiment with new weapon and armor builds and new types of gathering, opening up new combat and gathering possibilities with a lower entry requirement. 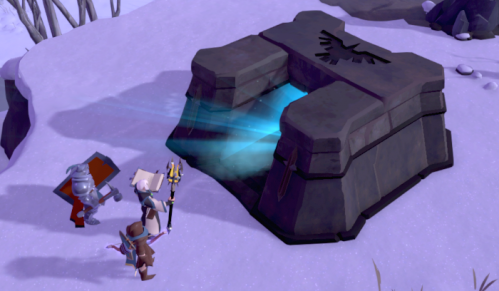 Albion Online's tutorial has been completely overhauled, providing new players with clearer guidance on the game's systems and combat. 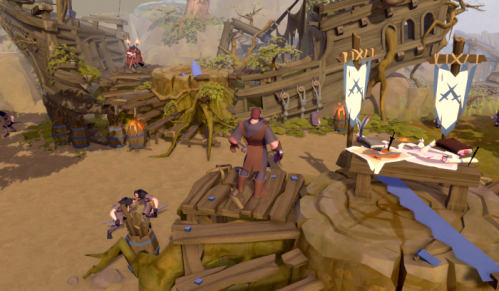 This reworked and condensed onboarding, in addition to helping new players better learn how to navigate the world of Albion, will also bring them more quickly into higher-level play, benefitting veteran players as well. Oberon brings long-requested improvements to crafting and transmutation times, plus reduced harvest times for creature resources. 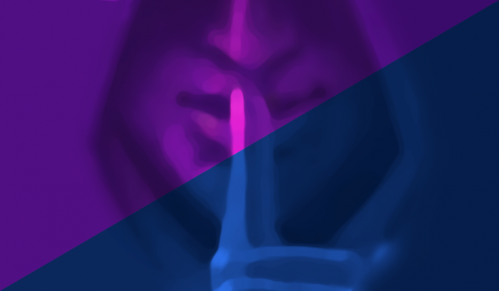 Players can now mute up to 150 others, limits have been placed on excessive whispers to reduce in-game spam, and the toolbars and ingame shop are clearer and easier to navigate.